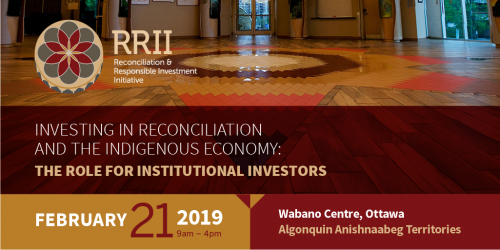 Are you an investor interested in better aligning your investment practices with the principles of reconciliation? Do you want to connect with Indigenous leaders, businesses, philanthropists and asset managers and design opportunities to invest in the Indigenous economy? If so, join SHARE and NATOA for this important gathering on Investing in Reconciliation and the Indigenous Economy. NATOA members, SHARE affiliates, non profits, academic institutions, trustees and governments please use code SHARE2018 when registering. Indigenous leaders will introduce opportunities to put reconciliation into practice in the way investors allocate and steward their capital.